Professor Mark Steel is interested in theoretical and applied Bayesian statistics, particularly distribution theory, Bayesian model averaging, spatial statistics, non- and semiparametric inference, survival models, stochastic frontier models, contingent valuation and stochastic volatility models. Part of his interests stem from his background in economics: he held a Chair in Economics at the University of Edinburgh from 1998-2000. He then moved to a Chair of Statistics at the University of Kent at Canterbury and has joined the University of Warwick in 2003. He is an Associate Editor of the Journal of Productivity Analysis, Econometrics & Statistics and of the Central European Journal of Economic Modelling and Econometrics. Previously, he was Editor of Bayesian Analysis (2010-2019) and Associate Editor of the Journal of Econometrics (2010-2013), the Journal of the Royal Statistical Society, Series B (2003-2007), the Journal of Business and Economic Statistics (2000-2006) and of Econometric Theory (1994-2005). 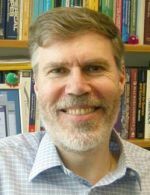 He has had a variety of roles in the International Society for Bayesian Analysis and in the Royal Statistical Society. He was Head of the Statistics Department at Warwick from September 2014 until September 2018. Model Averaging and its Use in Economics, Journal of Economic Literature, forthcoming. Flexible linear mixed models with improper priors for longitudinal and survival data, with F.J. Rubio, Electronic Journal of Statistics, 12, (​2018), 572-598. Bayesian variable selection and model averaging in univariate linear regression, with G. García-Donato and A. Forte, International Statistical Review, 86, (2018), 237-258. Incorporating unobserved heterogeneity in Weibull survival models: A Bayesian approach, with C. Vallejos, Econometrics and Statistics, 3, (2017), 73–88. Bayesian survival modelling of university outcomes, with C. Vallejos, Journal of the Royal Statistical Society, A (Statistics in Society), 180, (2017), 613–631. Bayesian modelling of skewness and kurtosis with two-piece scale and shape distributions, with F.J. Rubio, Electronic Journal of Statistics, 9, (2015), 1884-1912. Objective Bayesian survival analysis using scale mixtures of log-normal distributions, with C.A. Vallejos, Journal of the American Statistical Association, Theory and Methods, 110, (2015), 697-710. Inference in two-piece location-scale models with Jeffreys priors, with F.J. Rubio, Bayesian Analysis, 9, (2014), 1-22, with discussion and rejoinder, 45-52. (Open Access). Comparing distributions using dependent normalized random measure mixtures, with M. Kolossiatis and J. Griffin, Journal of the Royal Statistical Society, B (Statistical Methodology), 75 (2013), 499-529. (Open Access). On Bayesian nonparametric modelling of two correlated distributions, with M. Kolossiatis and J. Griffin, Statistics and Computing, 23, (2013), 1-15. Adaptive Monte Carlo for Bayesian variable selection in regression models, with D. Lamnisos and J. Griffin, Journal of Computational and Graphical Statistics, 22, (2013), 729-748. Bayesian inference for P(X<Y) using asymmetric dependent distributions, with F.J. Rubio, Bayesian Analysis, 8, (2013), 43-62. Modelling multi-output stochastic frontiers using copulas, with A. Carta, Computational Statistics and Data Analysis, 56, (2012), 3757-3773. Cross-validation prior choices in Bayesian probit regression with many covariates, with D. Lamnisos and J. Griffin, Statistics and Computing, 22, (2012), 359-373. On the Marshall-Olkin transformation as a skewing mechanism, with F.J. Rubio, Computational Statistics and Data Analysis, 56, (2012), 2251-2257. Non-Gaussian spatiotemporal modelling through scale mixing, with T. Fonseca, Biometrika, 98, (2011), 761-774. A general class of nonseparable space-time covariance models, with T. Fonseca, Environmetrics, 22, (2011), 224-242. Stick-breaking autoregressive processes, with J. Griffin, Journal of Econometrics, 162, (2011), 383-396. Modelling overdispersion with the normalized tempered stable distribution, with M. Kolossiatis and J. Griffin, Computational Statistics and Data Analysis, 55, (2011), 2288-2301. Inference for grouped data with a truncated skew-Laplace distribution, with F.J. Rubio, Computational Statistics and Data Analysis, 55, (2011), 3218-3231. Model-based clustering of non-Gaussian panel data based on skew-t distributions, with M.A. Juarez, Journal of Business and Economic Statistics, 28, (2010), 52-66. Bayesian inference with stochastic volatility models using continuous superpositions of non-Gaussian Ornstein-Uhlenbeck processes, with J. Griffin. Computational Statistics and Data Analysis, 54, (2010), 2594-2608. Non-Gaussian dynamic Bayesian modelling for panel data, with M.A. Juarez, Journal of Applied Econometrics, 25, (2010), 1128-1154. Bayesian nonparametric modelling with the Dirichlet process regression smoother, with J. Griffin, Statistica Sinica, 20, (2010), 1507-1527. On the effect of prior assumptions in Bayesian Model Averaging with applications to growth regression, with E. Ley, Journal of Applied Econometrics, 24, (2009), 651-674. Flexible Univariate Continuous Distributions, with F. Quintana and J.T. Ferreira, Bayesian Analysis, 4, (2009), 497-522. Transdimensional sampling algorithms for Bayesian variable selection in classification problems with many more variables than observations, with D. Lamnisos and J. Griffin, Journal of Computational and Graphical Statistics, 18, (2009), 592-612. Flexible mixture modelling of stochastic frontiers, with J.Griffin, Journal of Productivity Analysis, 29, (2008), 33-50. Directional log-spline distributions, with J.T. Ferreira and M.A. Juarez, Bayesian Analysis, 3, (2008), 297-316. Model comparison of coordinate-free multivariate skewed distributions with an application to stochastic frontiers, with J.T. Ferreira, Journal of Econometrics, 137, (2007), 641-673. A New Class of Skewed Multivariate Distributions with Applications to Regression Analysis, with J.T. Ferreira, Statistica Sinica, 17, (2007), 505-529. Jointness in Bayesian variable selection with applications to growth regression, with E. Ley, Journal of Macroeconomics, 29, (2007), 476-493. Bayesian Stochastic Frontier Analysis Using WinBUGS, with J.Griffin, Journal of Productivity Analysis, 27, (2007), 163-176. Inference with non-Gaussian Ornstein-Uhlenbeck processes for stochastic volatility, with J. Griffin, Journal of Econometrics, 134, (2006), 605-644. Order-Based Dependent Dirichlet Processes, with J.Griffin, Journal of the American Statistical Association, Theory and Methods, 101, (2006), 179-194. A constructive representation of univariate skewed distributions, with J.T. Ferreira, Journal of the American Statistical Association, Theory and Methods, 101, (2006), 823-829. Non-Gaussian Bayesian geostatistical modelling, with M.B. Palacios, Journal of the American Statistical Association, Theory and Methods, 101, (2006), 604-618. On describing multivariate skewed distributions: A directional approach, with J.T. Ferreira, Canadian Journal of Statistics, 34, (2006), 411-429. Alternative efficiency meares for multiple-output production, with C. Fernandez and G. Koop, Journal of Econometrics, 126, (2005), 411-444. Modelling directional dispersion through hyperspherical log-splines, with J.T. Ferreira, Journal of the Royal Statistical Society, B (Statistical Methodology), 67, (2005), 599-616.